My dad turns 75 today. He’s my longest-time fishing companion. As a very small boy we’d fish Hall Creek near his childhood home in Corning. Later we’d fish the Klamath River together for steelhead. We plugged away at our local Upper Sacramento River a bit, but didn’t really fish it until I hit about 21. We fished the Lower Sacramento for shad on Memorial Day weekend every year of my childhood (minus flood years) and the Klamath for half-pounders every Labor Day weekend (minus one year due to fires). We fished the coastal rivers of Southern Oregon for steelhead with me freezing my feet to blocks of ice in my plastic waders. All of that was without a fly, mostly worms and eggs and gear. 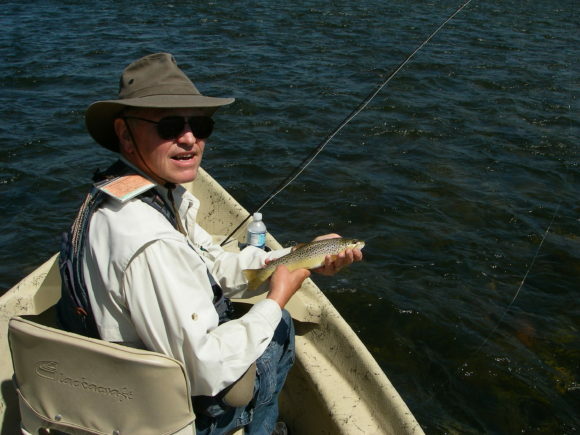 I started fly fishing when I was 21 and my dad started the year after. Since that time we’ve fly fished 10x more than before. 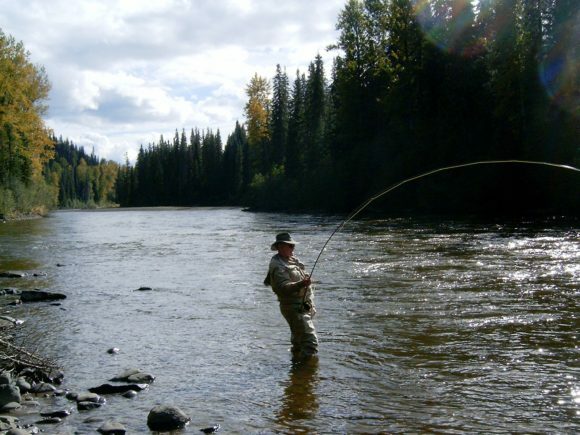 We’ve fished the Umpqua and the Babine together. 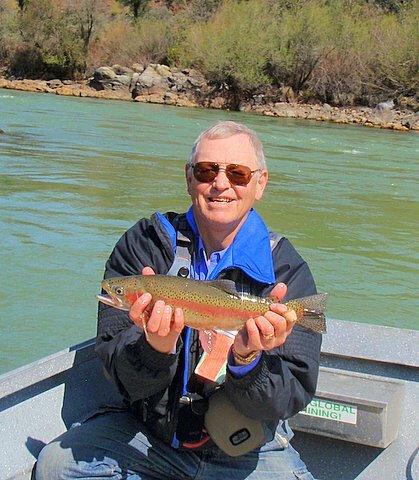 We’ve fished our home trout waters like the Upper Sacramento, McCloud, Fall River, Hat Creek and more. We’ve fished the Lower Sacramento and the Trinity. We’ve fished ponds and lakes. We’ve fished Montana and Yellowstone. 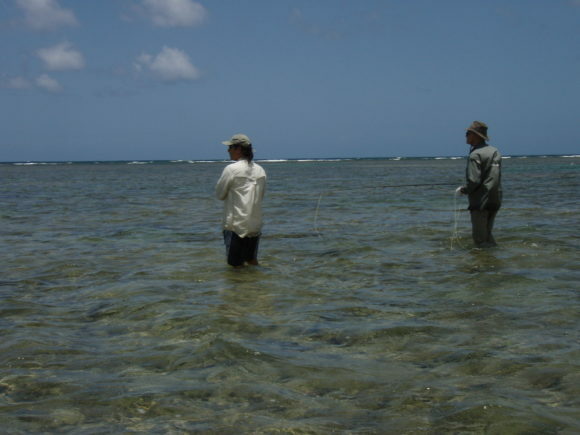 We started saltwater fly fishing together in Hawaii and then caught our first bonefish in Grand Bahama. 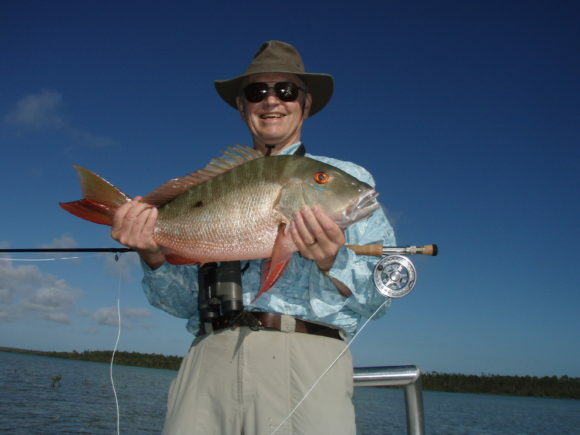 We’ve fished Abaco together and the Everglades. We’ll fish Mexico together in July. One more memory to make and I hope many more to come. Thanks for providing the spark dad. This entry was posted on Sunday, April 30th, 2017 at 8:09 am	and is filed under All the other stuff. You can follow any comments to this entry through the RSS 2.0 feed. You can leave a comment, or trackback from your own site. What a great father you have.! Long may it last. 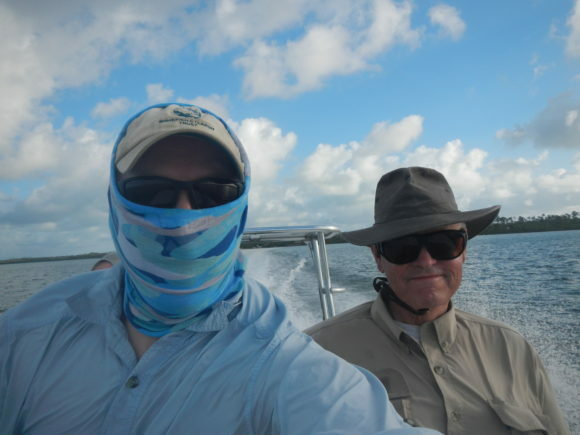 My dad does a little sport fishing and I go along but he was a big bird /duck hunter and he and my grandfather taught me to appreciate the outdoors… we’re sport fishing in the Exumas now and due to high winds we’ll try a little flats fishing instead of fighting the chop. He’ll have the spin rod and I’ll have the fly rod… darn, I forgot my 9 wt! Hope I can make my 8 weight sing in 25 kt. winds! But it’s not about the fish! So good to get out with dad, isn’t it? Try to avoid all the Fyre Festival folks!